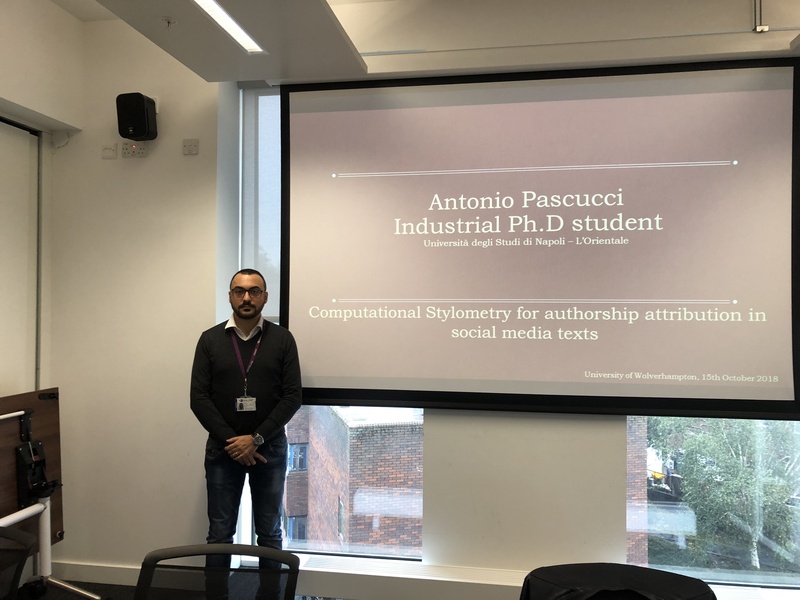 Congratulations to Marcos Zampieri, whose paper has been accepted at NAACL 2019. Reference: Marcos Zampieri, Shervin Malmasi, Preslav Nakov, Sara Rosenthal, Noura Farra, and Ritesh Kumar (2019) Predicting the Type and Target of Offensive Posts in Social Media. This entry was posted in news on February 28, 2019 by riilp. We are pleased to announce that the paper titled “Bridging the Gap: Attending to Discontinuity in Identification of Multiword Expressions” from researchers in RGCL has been accepted into the main track of the Annual Conference of the North American Chapter of the Association for Computational Linguistics (NAACL 2019). This is joint work by Omid Rohanian, Shiva Taslimipoor, Le An Ha, Samaneh Kouchaki, and Prof. Ruslan Mitkov. A preprint of this paper will soon be available on ArXiv. This entry was posted in news on February 26, 2019 by riilp. Abstract: We reassess a recent study (Hassan et al., 2018) that claimed that machine translation (MT) has reached human parity for the translation of news from Chinese into English, using pairwise ranking and considering three variables that were not taken into account in that previous study: the language in which the source side of the test set was originally written, the translation proficiency of the evaluators, and the provision of inter-sentential context. If we consider only original source text (i.e. not translated from another language, or translationese), then we find evidence showing that human parity has not been achieved. We compare the judgments of professional translators against those of non-experts and discover that those of the experts result in higher inter-annotator agreement and better discrimination between human and machine translations. In addition, we analyse the human translations of the test set and identify important translation issues. Finally, based on these findings, we provide a set of recommendations for future human evaluations of MT. Abstract: In Portuguese, all nouns are distributed into two gender categories: feminine and masculine. On one hand, gender can be predicted from the phonological cues present in the endings of the nouns. For example, nouns ending in -a tend to be feminine and nouns ending in -o tend to be masculine. On the other hand, the relationship between word ending and gender is far from being a consistent rule, since nouns ending in other phonemes may be of either gender. 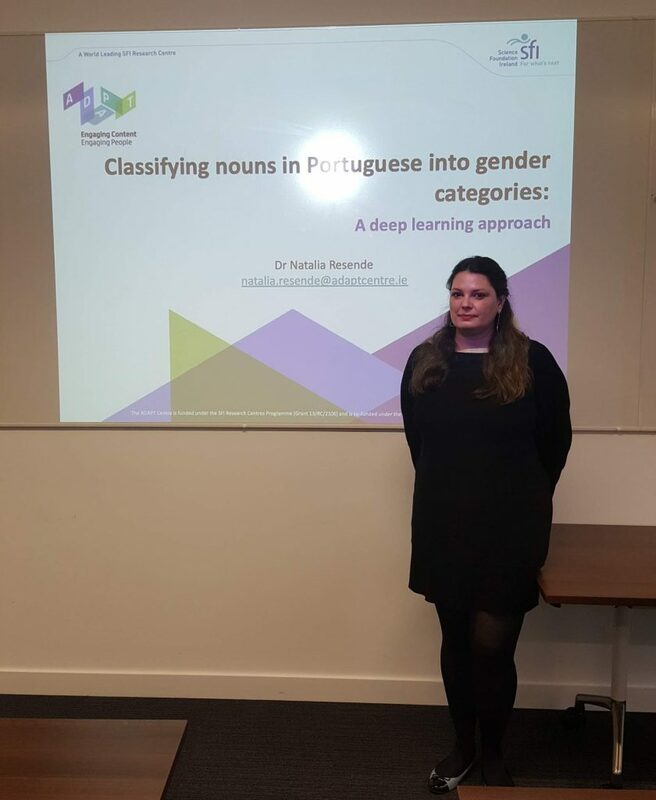 In the present study, a connectionist network was trained to classify Portuguese nouns into gender categories considering their phonological structure as whole. The performance of the network was analysed in detail to check whether the network considers only the endings of the nouns or their whole phonological structure for gender decisions. In addition, it was analysed what type of information the network takes into account to decide the gender of nouns whose endings are not predictive of gender. Results show an error-free performance when the network takes into account the phonological information present in the endings of the nouns and frequency effects for nonpredictive endings. The present study has implications to the training of NLP systems when classifying nouns into gender categories. This entry was posted in Seminars 2018 on November 21, 2018 by riilp. In August, Professor Alexander Gelbukh began a 12 month sabbatical at RGCL. 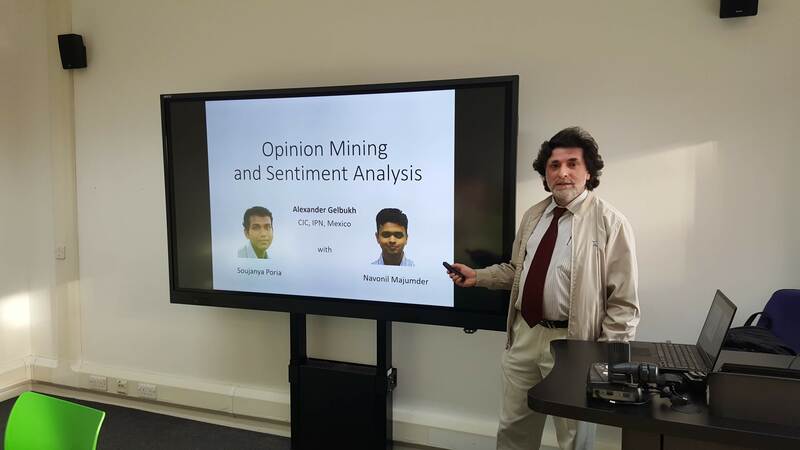 As part of his visit, Prof. Gelbukh presented a research seminar to the group on ‘Opinion Mining and Sentiment Analysis’. During his time here, he has held many meetings with members of the group to discuss both future opportunities for collaboration, and discuss his research with interested people. This entry was posted in Seminars 2018 on October 22, 2018 by riilp. 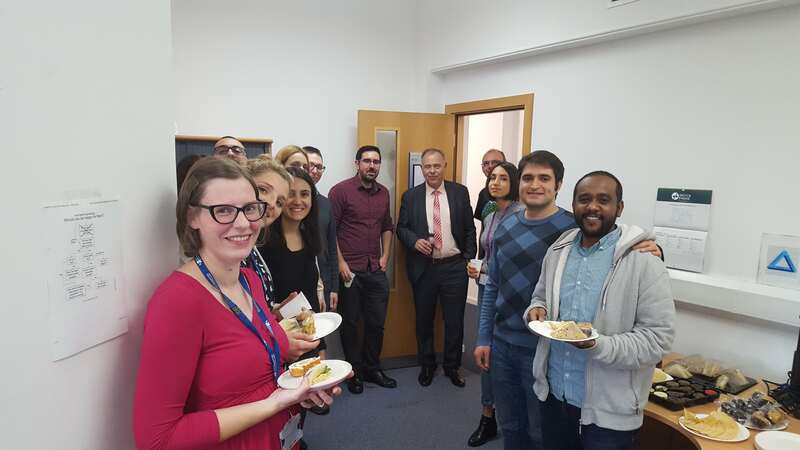 Mireille Makary completes her Viva! Congratulations to Mireille Makary for completing her Viva Voce exam on 17th October. 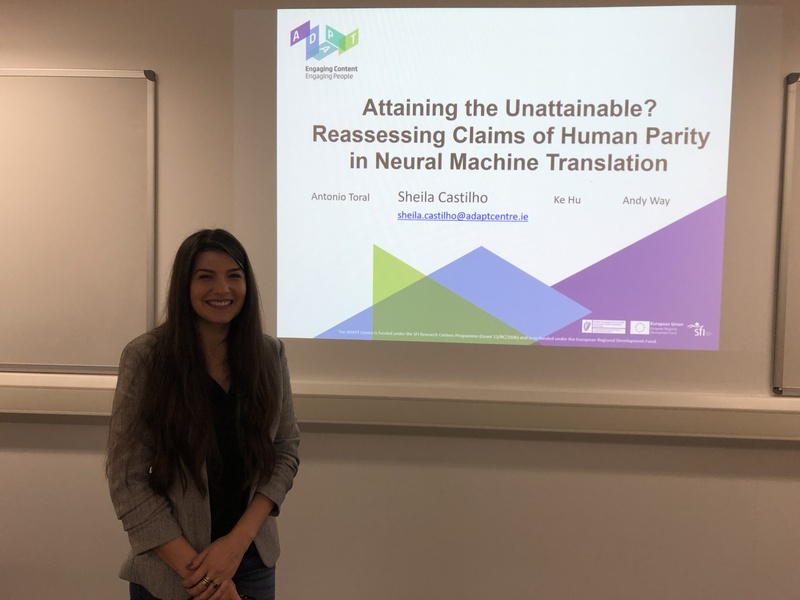 Mireille, a part-time distance RGCL student, was defending her thesis ‘Ranking retrieval systems using minimal human assessments’. After the Viva, Mireille celebrated with the group in the traditional RGCL way! This entry was posted in news on October 22, 2018 by riilp.